It's now available for $200. Sennheiser has released a Bluetooth mic that gives you a way to make sure your video comes with crisp sounds -- even if you're recording from afar. It says its new device called Memory Mic can record "broadcast quality" audio even if you're shooting the video from a distance with a phone. Say, when you're recording your kid on her first bike ride, when you want to shoot a video of a musician that captures the whole stage or if you're shooting a cooking show for YouTube. 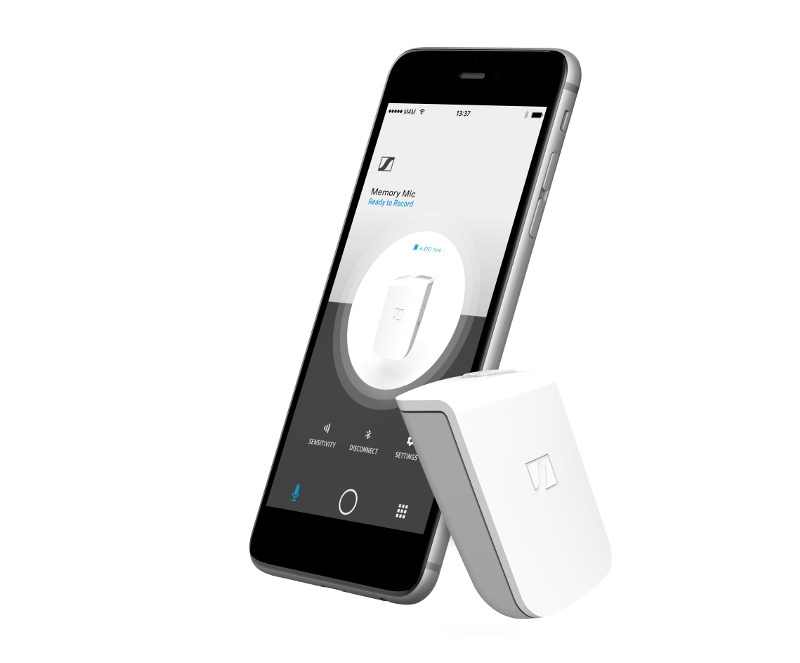 The device initially connects to your phone via Bluetooth, but it can apparently continue recording even if you go out of range. Your phone's built-in mic will still pick up ambient sounds for a more accurate representation of your recording conditions, which is great if you want to relive particular moments. The Memory Mic can record and store up to four hours of audio, and its accompanying app will automatically sync it with the video you take. It's now available from Sennheiser's website and various retailers for $200.